Slowly steam before grilling to ensure tender, moist ribs every time. 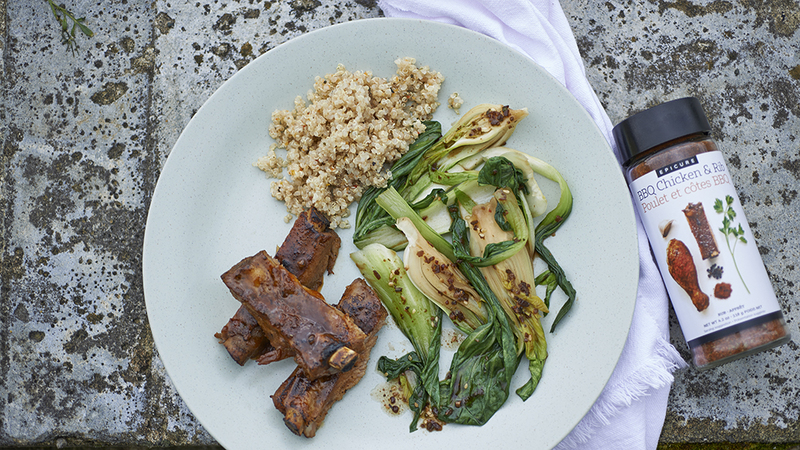 Perfectly balance your plate: Serve with 2 C (500 ml) lightly steamed vegetables and 1 C (250) grains. 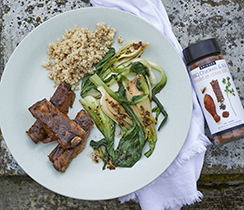 Liberally shake 2 Tbsp (30 ml) BBQ Chicken & Rib Rub on both sides of ribs. Rub in if desired. Place a cooling rack on a Sheet Pan and add water. Place ribs on top. 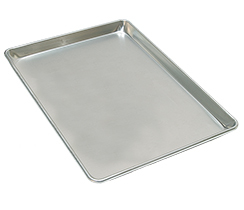 Tightly cover Sheet Pan with foil and steam in oven for 1½ hours. Remove and drain off any liquid. Combine remaining BBQ Chicken & Rib Rub with oil and liberally brush both sides of ribs. Grill for 4–5 minutes per side. Tip: To reduce steaming time, steam ribs in the microwave. Place coated ribs in a Multipurpose Steamer and microwave on high, with lid on, for 8–10 minutes prior to grilling.